A recollection of what has happened in the last seven years since Nepal became Federal Democratic Republic. First of the two part blog series has some facts with some negativity. Part two will be more difficult to write – as the hope is to get a better and brighter picture. Expectations were high even in 2008. Nepal came together and made history with Federal Democratic Republic country and the new constitutional assembly. Sure, we removed the monarchy in hope to better the political structure that we thought was more akin to feudalism under the then ruler. Introspection reveals a neglect and a disaster. Members of the second Constituent Assembly, elected in November, chose S Koirala of the Nepali Congress (NC) party on February 10 as the fifth prime minister since Nepal held its first democratic elections six years ago. Disclosure – I am inclined towards democracy, neutral towards the old monarchy, and despise the communism. Seven prime ministers in seven years. Seven head of state, elected (and/or selected) to bring the country out of tragedy and darkness. GPK was experienced, skillful and capable leader. However, he was inadequate and incompetent for the time, corrupt, greedy, and old. Koirala ruled the longest as five-time prime minister in the democratic era after 1990, and by that token also made more mistakes than others, besides earning the animosity of the mainstream left which opposed him in Parliament and on the streets. Koirala can take some of the credit for the advances made during the dozen years of democracy till 2002, including the advance of community forestry, press freedom, the FM radio revolution and the brief interlude with local government. He was a true believer in open society. And yet, he was party to the ills that dog us to this day, from energy shortage, static economy and the impunity that has spread like wildfire. Clearly, Koirala was unable to come to grips with the newer challenges beyond pluralism, posed by identity assertion and economic globalisation, among others. Then came the chief justice of Nepal, who somehow managed to get the government going for sometime. and now we have a bachelor as prime minister. Nothing against his bachelorhood. Just too many incapable politicians around even in the new CA. Next on the list is Plane Crashes. Here is a list of accidents and incidents involving commercial and non-commercial [NC] aircraft in Nepal from 2008. 2008 October 8 – Yeti Airlines Flight 103 De Havilland Canada DHC-6 Twin Otter crashes 60 nmi (110 km) from Mt Everest, Nepal, killing 18 of 19 people on board. 2010 August 24 – Agni Air Flight 101, a Dornier Do 228, crashes outside of Kathmandu, Nepal in heavy rain, killing all 14 people on board. 2010 December 15 – A Tara Air de Havilland Canada DHC-6 Twin Otter crashes in the Bilandu Forest near Shreechaur, Okhaldhunga District, Nepal, killing all 22 passengers and crew on board. 2011 September 25 – Buddha Air Flight 103, a Beechcraft 1900D, crashes in dense fog while attempting to land at Kathmandu Tribhuwan International Airport, killing all 16 passengers and 3 crew members. [NC] 2011 October 18 – Royal Nepal Air Force, a Britten-Norman Islander, Nepalgunj, performing an ambulance flight from Nepalganj to the capital city Kathmandu with a patient, one accompanist, two doctors, a nurse and a pilot. It crashed in unknown circumstances near Dhorpatan, killing all six occupants. 2012 May 14 – In the Agni Air Flight CHT, a Dornier Do 228 crashes near Jomsom Airport, Nepal during a go-around; of the 21 on board, 6 survived. 2012 September 28 – Sita Air Flight 601, a Dornier Do 228, crashes on the bank of the Manohara River, Kathmandu, Nepal after a bird strike, killing all 19 on board. 2013 May 16 – Nepal Airlines Flight 555, a de Havilland Canada DHC-6, overruns the runway on landing at Jomsom Airport, Nepal, injuring seven people. 2014 February 16 – Nepal Airlines Flight 183, a de Havilland Canada DHC-6, crashes near Khidim about 40 nautical miles south-west of Pokhara, Nepal, killing all 18 people on board. For comparison, India which is around 21 times the size of Nepal, and well with 1 billion+ population had 10 plane crashes from 2008 onwards (till 2014). Next neighbor, China had 7 accidents. Well to be honest, we can exclude the three airplane crashes in Kathmandu, TIA, for being one of the worst air strip for aviation and landing a plane. Still, We have one accident every 8 months. I am horrified to board a plane. Before I begin ruining my thoughts of how I miss my friends and family, here is a small excerpts from New York Times, Feb 21, Opinion section. A very strong word – Social Mobility, and how the authors compared wealth and knowledge among the haves and not haves – around the world. Authors talk about Indian (Nepali) society and how our cast system and religion has prevented the social mobility. One question, is why all the prime ministers in Nepal are from upper class? When you look across centuries, and at social status broadly measured — not just income and wealth, but also occupation, education and longevity — social mobility is much slower than many of us believe, or want to believe. This is true in Sweden, a social welfare state; England, where industrial capitalism was born; the United States, one of the most heterogeneous societies in history; and India, a fairly new democracy hobbled by the legacy of caste. Capitalism has not led to pervasive, rapid mobility. Nor have democratization, mass public education, the decline of nepotism, redistributive taxation, the emancipation of women, or even, as in China, socialist revolution. That said, here is the number of people in last decade (and so on) that have left Nepal and gone out for education for work. Most of them are from Middle Class, Upper Middle and few from the Elite Nepali Society. This probably is not selection bias, on my part, as I could very well not choose my family and friends from a broader group of society hierarchy based on economy. Disclosure – I represent the middle class family in Kathmandu. Coaxed into more studies and less play – with broad shoulder that could carry a heavy back pack filled with books day-in-and-out. Four of my first cousins are not in Nepal, gone outside for education. I am not good with extended family (don’t remember them) but seven among all the second cousins I know are outside Nepal. School, High School, and then School of Medicine – some of my close friends are outside Nepal pursuing higher educations and/or working with really good future prospects. Some in pursuing medicine, some in public health, and some in everything else, that I cannot understand. We had a small eight boys group in school which represented the small-dull-nerd group (seriously). Five of them are outside Nepal, settled and prospering. High School saw a huge magnitude of friend circle/s, but among the closest friends – 10+ are in USA, few in Europe and Australia. Then unto medical school, we had 45 of us, and around 6 are doing (or will soon) their residency here in USA. Third on my list is how my friends, family and most of the neighbors have at least one of their family members aboard. I have a small map below, which puts my place in the center, and all the houses that surround the one that I live in. They all have one thing in common, either their daughter is married to someone outside Nepal, or son/daughter is outside Nepal for further education, or the whole family got into DV Lottery. The middle class exodus is in the rise, specially after the 2006/7 pseudo(corrupt)democracy. This being the intellectual herd (personal opinion) Not saying that there aren’t any left in Nepal, but a big portion is going out. I know (hope) they will return one day to help build Nepal a better place. Disclosure – I myself, at the moment am in USA, till the end of April 2014. Somehow, I feel that our social culture dictates this. Any parents would want to see their kids grow up into better life. Educate them, and see them work in better position. When the times were difficult, my grandfather migrated from the hilly regions in Nepal to the fertile flat lands in Terai. My father migrated from this fertile agricultural society to the capital Kathmandu for service based economical model. Now I take this progress, few steps further. Its either sending your kid to a rich, developed nation or coaxing him/her into a respected profession (by time/place)- a doctor, an engineer etc. 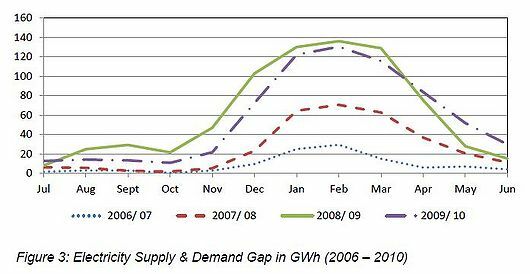 Seven years of FDR has done nothing to reduce the Power Cuts. Below is just a small list of power cuts that we had during the peak season of misery. I wanted a more elaborate 12 month graph for seven years, but I couldn’t find any materials on the Internet. I did mail to the NEA asking for the information. Putting this for another post. The Unlikely Tale of How ARM Came to Rule the World.. Mobile Application – Hamro Keyboard is a Nepali keyboard for all of us who love Nepali language. This is still work in progress, however, this looks promising. Two great news from Mobile World Congress 2014 – – Nokia X family of phones and Firefox OS built phones. Nokia X – Sturdy Smart-phones at reachable Nepali economy. Firefox OS build phones which in partnership with a Chinese Chip company – Spreadtrum Communications – hopes to built a 25 USD smartphones. tea conundrum – बाबु चिया खाने? As a follow up to my post on comparing the conversation starters here I write some more on how we get around with tea. 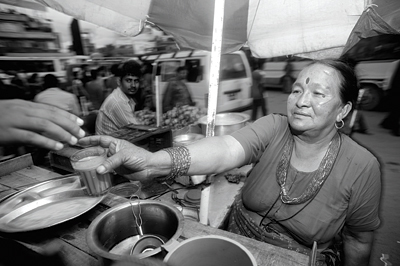 The importance of tea in Nepal, or may be, at least in Kathmandu. These are some ideas and facts I’d wanted to share for some time – my personal hausaufgaben (that’s homework in German). On a brighter note – I have a new theme and a fix domain – www.momobites.com. I am a tea person and my morning starts with tea. Every day at six, I take my Ideapad laptop to kitchen (or nearby) to read Setopati (Nepali Online news portal) and most of the time, the boiling tea water resonates my feeling concerning Nepal’s political landscape, hot and turbulent. The packaged tea leafs from Nepal will last us three more weeks and by then we hope to get another batch from someone coming from Nepal. Our current batch is from the tea shop near Basantpur Durbar Square. I am not sold with the tea bags found in USA plus with our limited budget we can’t afford a grandeur brand. As a time limited experience from Charlottesville, Boston and Providence – I guess the tea (or coffee) time is usually personal and to the point. You take caffeine mostly to wake yourself up and feel refreshed. Personally tea time for me is designated by the time of the day, something very prevalent from the sub culture I bring from Nepal. A brief description of my routine in Nepal was as follows. Two years ago my team (technically Aditi’s team) spend six months on this research study. Personally, I think this study and the published paper is of national importance which reveals how international friends are manipulating this (Nepal)puppet country in the field of health aid and health related national programs. Those six months however, were the most tea intoxicated time of my life. All the literature study, desk work, planning and in-depth interviews meant a lot of tea (and some coffee). The picture below is of Radheshyam (team member) waiting outside Singha Durbar south gate. We were to take an in-depth interview from one of the high ranking official in Ministry of Finance. He made us wait for two hours. Any guesses on how we spend our time? Tea shops in Nepal are akin to the bars and pubs of Europe. People come here to share some progressive ideas, ramble more about politics, and make friends. Most of this require some water, some milk and sugar, a place to sit, and good company. I see it in Chabahil – Ganeshthan near my home every day, with a spike during holidays and weekend. My recent trip to Janakpur this summer for Nidan required me to work in the earliest possible hours. At seven in the morning when the most of the businesses are non functional these tea shops would be open, filled with people. Late last year when our small team reached Taklung after six hours bus ride and 10 km walk on a hot and sunny day we were approached with tea. We begged for cold water. Tea is part of our culture and I love it. It gives me good feeling of being South Asian and being Nepali. Its one of those culture which I can talk about, humor it, and love it at the same time. Like the most tea cultures around the world, its something that brings people together. Disclosure – There is certainly alcohol culture too, but that usually happens in the evening/night for majority and I may talk about it some other post. There is a culture (and many smaller sub-cultures) in Nepal with a cup of tea. Tea time has variations in time, place, quantity and quality. I certainly have few moments of emotional attachments with few of these cups/glasses. From the first cup of tea I made which tasted like strong sour hot water to the first cup with Aditi after she said yes to my proposal. The black tea I drank with Avi and Pradhumna after eight years, in Pokhara and the first morning in home after I got married with family and my newly wed wife. The following are some type of tea I see prevalent in Nepal. One of those few teas that actually taste good. My mother makes one of these, and so does our new Nepali friends in Charlottesville. You know the one with just the good amount of milk, tea, and sugar. I am not a good fan of masala tea but they taste good. Any one remember the typical tea glass in most of the tea shops in Kathmandu? The glass this lady is holding in the image below. Image from June 2012, article written by Niraj Karki in ECS Nepal. (web link). Good read. This was one of my favorite during medical school years, and then while working in Kathmandu University School of Medical School – Chaukot. The tea time, was first at around nine thirty in the morning, with a follow up at around two thirty. A fifteen minute chat time with friends and colleagues, with some breads and donuts. Sometimes there would be wai-wai fry. Back during my work in Chaukot in 2010/11 our small tea group talked about politics and bollywood. Our friend, Smrity literally introduced us to Zoom TV during these tea talks. Most Nepali know this. A long steel glass, filled up to its brim, with tea. A bit thin and light in color; but still has a good punch. Be it the hills, mountains or the Terai flat lands in Nepal, the rural village Nepal – this kind of tea takes 20 minutes, and the steel glass needs to cool for at least five minutes before we are able to take a first sip. Its hot and it fills up the glass. You need a special grip to hold this glass and there is so much effort to take that first sip. One famous tea culture in Nepal. Carrying this from my previous post from last week. Most households in Nepal offer tea to almost all kinds of guests – friends, families or someone who is at the door for say more than 15 minutes. Extending all four seasons, and irrespective of the time of day – a cup of tea, is presented to you, almost everywhere. I have mentioned my Taklung experience above and am sure everyone has their own. Classic Nepali Tea Culture. Holidays and day-offs are big everywhere, and tea on these occasions are wonderful delight. Morning tea with some good food like – jerry swari, maalpuwa, khajuri, and few other South Asian sweet snacks are some of my favorites. These are usually morning teas, and they feel great during the months of September-October-November. These being the festival months in Nepal. These are in part the South Nepal food choices, related to my father’s origin, unto which this is highly influenced. As a medical school student, however, holiday tea in Dhulikhel (and Kathmandu) representing the hilly outskirts of Kathmandu meant more like – sel-roti and aalu-chana, with may be, sometime chiura (the beaten rice). Friday evening sometimes meant beer and some local stuff that mostly gave a big hangover Saturday. The dorm rooms and the respective rest rooms (aka toilets) took a lot of post-binge-throw-ups. We wake up late afternoon, with heavy dehydration and headache, nauseated and thirsty. The weekend–noon-tea after one of these events are usually with no milk, and mostly lemon flavored. In another note, I watched Flash Point Paradox. Waited for few months for this. It was awesome, as expected. For the unknown I am big fan of Flash. NEXT WEEK – I write about Dashain.. The (not-so-evil) dowry culture of 70s and 80s in Nepal. I say 70s and 80s to be – not-so-evil, because this is somewhat simpler, when compared to the present dowry culture in Nepal. Read my next post for the bad omen dowry system. For now, read below. Mr Sukhiraam (name changed) stood up and ran towards the paddy field. This happened when he was getting married (arranged marriage) to a girl from next village, five kilometers south-east from his own. There was a specific wristwatch he demanded as his dowry. 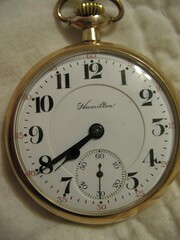 This was Seiko Day-n-Date wrist watch, the one with the “second”-hand and leather strap, which had dates shown. The one which was considered as the highest class of gift, at that time, in that region. This was an era when there were no Television in Nepal, and Radio had just made it inroads. The watch was one of the most useful technological advancement for Sukhiraam, and he’d hope it be on time for all his work and duties from hence forth. His work duties related to grazing and then milking his cows and buffaloes, working at rice field, bringing about drinking water from a fifteen minute walk, helping his landlord with various household chores and agriculture related work and mostly being on time for the morning cup of tea at the village tea shop. The shop, where he had boasted a day earlier that he’d be getting a watch, not just just any watch, but a “Seiko Day-n-Date Watch”. His reputation and family honor were on line. what were his dowry options? The three most prevalent dowry gift in those days (for this region) were – a wristwatch, a cycle and a radio, Second after the aforementioned wristwatch was a cycle. The cycle from “Hero” company, which had no gears, or front or tail lights, was the heaviest thing around, and quite uncomfortable by today’s standard. But in those days, Hero cycle was the speed demon, and a status symbol. Sadly, Sukhiraaam had one of these, and this was the very reason, why he was to married. Paarvati’s father had searched for three months when he got the news of a handsome Sukhiraam who had a Hero cycle. Paarvati would be very happy, if she’d marry to this richness, which was only three hours walk from her fathers home, Paarvati, the eldest, was of age, and her father had two more daughters to marry off in the next three years time. Paarvati was lucky that Sukhiraam liked her on first visit, and since he already had the cycle, there was only wristwatch which was demanded. how long before a wristwatch? Paarvati’s father had to ask his elder brother’s son – Lakhan, who’d be going to the nearest market (Manhari Market) to sell his land lord’s agricultural goods in about three weeks time. Lakhan, would take extra money with him, and provided there were no Dacoits and Loot on the way, he’d be going to the nearest city, in India, to get this watch. Gorakhpur city was roughly 200km south, and it would take a train ride of six hours to reach there. If you weren’t careful, you had a very likely chances of getting robbed or pick pocketed. Plus, you would not go there alone, and usually took someone with you. There was only one train every day, so, Lakhan had to spend one day in Gorakhpur, with a paid travel allowance by Paarvati’s dad. All in about – seven weeks time. The wedding was scheduled on the eighth week.